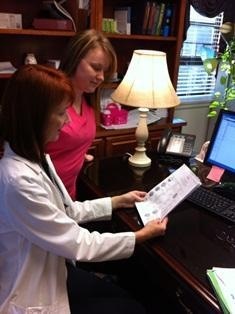 Christie Woodruff and her nurse Anna work very closely with both the patient and the physcians of Northeast Georgia Urological Associates. They try to devise a treatment plan for female incontinence using a balanced approach to diet modification, medications, hormone replacement, bulking agents, robotic sacrocolpopexy, obturator sling urethropexy, and neurostimulators (InterStim/Urgent PC). This assures that our patients receive state of the art methods to achieve dryness. We soon will be able to add Botox as a treatment option for our overactive bladder patients.